WhatToNameIt: When the going gets tough, Study. Good to see the number of posts on the rise here. Rightly said. You have indeed got a very valuable advice from ur mom. Diverting ourselves onto some learning, ofcourse with a commitment will benefit us to the maximum, making us wiser and also strongwilled. Gud to hear tat u pay heed to her and follow her wholeheartedly. Gud luck. 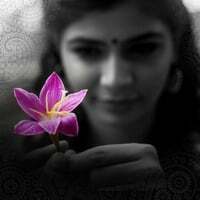 Hi chinmayi, I felt good after reading your blog. I too love my mom a lot. I always had a doubt, she doesn't even have a proper eduction but how does she made my life so beautiful both professionally and personally. Am really gifted.. When times are bad, focus your attention on studying - Interesting thought. I should give it a try. I've read something similar earlier, which is when things are bad at a personal/relationship level, try to focus on your job and try not to think about anything else. This way you divert your attention from negative thoughts. It works to an extent. Nice thoughts! Wishing you all the best Chinmayi. Very true. The more you indulge yourself in the studies the more you gets separated from the materialistic world plus makes you a more knowledgeable person. You become a wise geek. But provided something that keeps you entertaining/motivated/knowlegable like your blog. I have read few blogs (am not a regular blogger) but your blog is most often sought. It truly reflects your thought process on a topic in a more eloquent manner in subtle words. Hats off to you chinmayee. You are really a gifted personality.